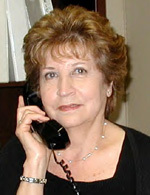 I am Lucy Monaco who has been in Real Estate for 20 years and I have been servicing Buyers and Sellers. I love Real Estate and helping people to find their dream home. I will dedicate my time to finding you what meets your needs.